Glasgow University is currently undertaking a £1 billion campus redevelopment which this includes improvements to University Avenue. This redevelopment will link into Byres Road and is an important part of the Colleges Cycle Route. However the current plans do not include any segregated cycle infrastructure. Like us, this will probably be a surprise to most. Especially coming so soon after the successful campaign for Byres Road, where the response to the councils public consultation highlighted the desire for segregated cycle infrastructure. As a result of overwhelming public opposition to the original proposals, the plans for Byres Road have now been redesigned. These new designs include segregated cycle lanes. Glasgow City Council listened to the overwhelming support for safe cycling on Byres Road. However we need you to make your voice heard with the same support for University Avenue. 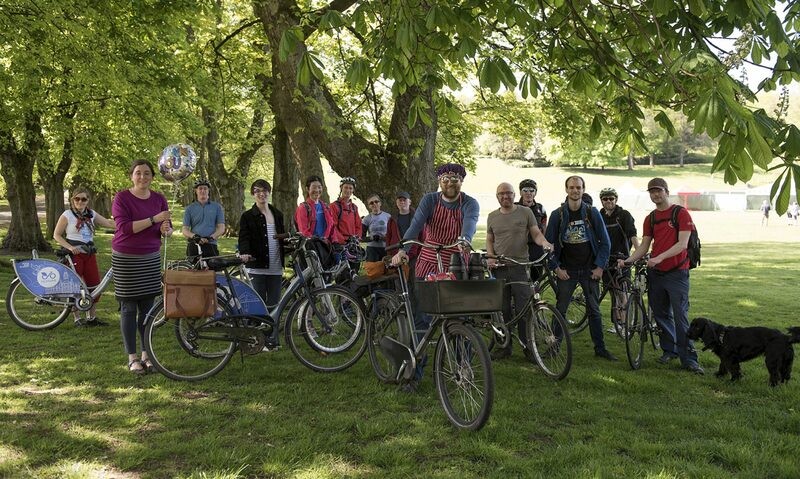 Like our many protests on Byres Road – the cycle ride from the Transport Museum, the original #paintisnoprotection event, even the community event with the local councillors at Hillhead. These were only successful and powerful because you added your voice. So come along and add your voice to the call for safe cycling provision on University Avenue. Tell the University and the Council that #paintisnotprotection. You don’t need a bike to take part. This protest is especially for those who don’t cycle now, but want to. Meet us outside the Wolfson Medical Building at 12 noon. We will then form our human cycle lane. If you are not taking part, but are passing by, take a quick snap and post your photo to twitter with the hashtag #paintisnotprotection. Let Glasgow City Council and the University of Glasgow know that this is not how we want to see our city develop.